The annual ritual of off-season rumpus has once again begun in the camp of B.A. United. At a press briefing held in Sunyani yesterday, Board Secretary, Mr. Joe Boahen told the press that the Executive Chairman, George Arthur has been suspended indefinitely for what the Board described as gross incompetence.He has therefore, been asked to hand over to his Vice, Mr. Kwasi Yeboah, a businessman in Accra. Among the reasons cited for arriving at the decision were that the Chairman has not been attending GFA and GHALCA organised meetings, but has consistently been kicking against decisions reached at such meetings. Again, he was accused of transferring Fuseni Adams to King Faisal under mysterious circumstances without any financial gains to the club. The Board also cited total disrespect to the Board as a major concern to the members. He is alledged to have formed a management team without consulting the members contrary to the tenets of the Club constitution. The Board also claimed it offered Arthur the best of support and if the previous Management, headed by Kingsley Osei-Bonsu had received at least half of what was given Arthur B/A United would have gone to places. The Board members present at the gathering were the Board chairman, Nana Yaw Amoako II (Nana Kobi), 1st Vice, Nana Anto Boadi (D.K. Anto). Others were deputy Board secretary, Dr. S. Oppong Yeboah, Mr. Enerst Apraku, and Mr. Kwame Addo Kuffour. Also present was the Chairman of the National supporters Union, Mr. Amosa Asare. When contacted for his side of the story, George Arthur said he is yet to be officially informed about the decision and would come out at the appropriate time. 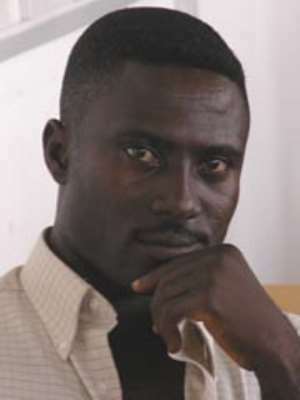 Meanwhile,a five-member committee,Chaired by Mr.Atta Boahen of the GPRTU five Board members , has been formed to investigate the tenureship of George Arthur.